Since 2000, A Plus Storage Corporation has been providing Plymouth area residents with a safe place to store their things! We offer state-of-the-art, climate-controlled storage, along with drive-up units for your convenience. Choose from indoor and outdoor units in a wide range of sizes, with rates and terms that are honest and affordable! Our diverse range of storage units makes it easy to get the space you’re looking for. We also have indoor, outdoor, drive-up and climate-controlled units for your convenience! Access your storage unit from 7:00am to 7:00pm, 7 days a week. After-hours access is available—call ahead to schedule. We sell a full scope of moving supplies, to help you pack up and move your belongings into your storage unit. Come to us for boxes, tape, bubble wrap and more. We take security very seriously. Our facility is equipped with every precaution to make sure your belongings are always safe in our units. We frequently run specials and deals—inquire about our current promotions today and learn more about how you can save money with us. Running out of storage space in your apartment? Need a temporary, safe space to house your belongings while you move? Renting the right storage space can be the answer to your problems! At A Plus Storage Corporation, we pride ourselves in helping customers from throughout the area get the storage units in Plymouth, MA that are right for them. Whether you’ve got a few boxes of things that need long-term storage or you’ve got furniture that needs a short-term home, we’ve got a diverse range of units ready to answer the call. From 5×5 options to massive 10×30 spaces, we’ll help you choose storage in Plymouth, MA to fit your space needs, accessibility demands and budget. Customers choose us not only because of our clean, affordable units, but also because of our commitment to security and convenience. 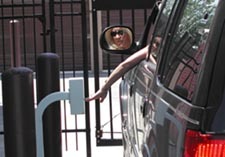 Our facility is completely fenced-in, with keypad access and 24/7 CCTV monitoring. From the moment you lock your unit, it’ll be completely secured and protected under our watch—guaranteed. Got sensitive items that need a home or hefty storage demands that require easy accessibility? Inquire about our climate-controlled and drive-up storage options. We’ll set you up with a unit that meets your exact needs. We invite you to stop by today to speak with our friendly staff and learn more about the many benefits of renting storage with A Plus Storage Corporation. Than comparable storage facilities in the area. Our units are 2′ higher than average, providing more stacking space. Whether you need a small space to store a few things or a massive storage unit to house most of your belongings, we’ve got it! Contact us today to learn more about rates, sizes and terms.